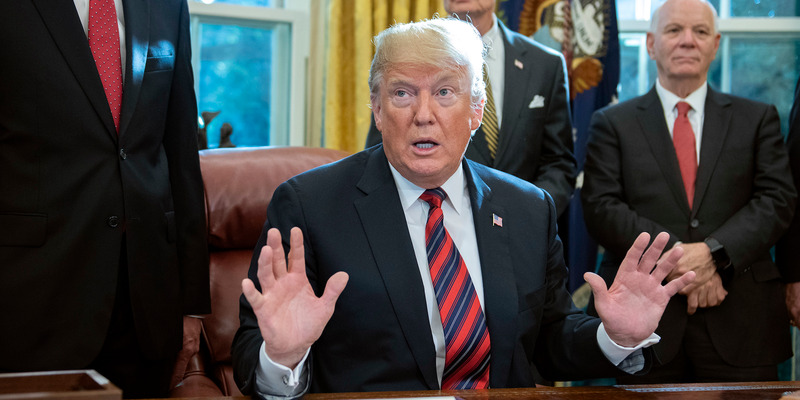 Ron Sachs-Pool/Getty ImagesPresident Trump said he had no proof of Middle Easterners in a caravan headed to the US from Central America. President Donald Trump said on Tuesday that he had no proof there were “Middle Easterners” among a caravan of migrants headed to the US from Central America. Trump had claimed on Monday that “criminals and unknown Middle Easterners” were “mixed in” with the caravan, with Vice President Mike Pence later echoing his assertions in a live interview. President Donald Trump said during a Tuesday-afternoon press conference that he had no proof to back up his and Vice President Mike Pence’s repeated assertions that “unknown Middle Easterners” were among a caravan of migrants heading to the US from Central America. Trump said “there’s no proof of anything, but there could very well be” when pressed by CNN reporter Jim Acosta for concrete evidence that people of Middle Eastern descent or that suspected terrorists were among the group. Trump’s denial came after White House press secretary Sarah Sanders said Trump “absolutely” had proof of Middle Eastern people in the caravan, with both Sanders and Pence’s spokeswoman, Alyssa Farah, emphasising Department of Homeland Security statistics stating that an average of 10 “suspected terrorists” a day were apprehended by Border Patrol in 2017.